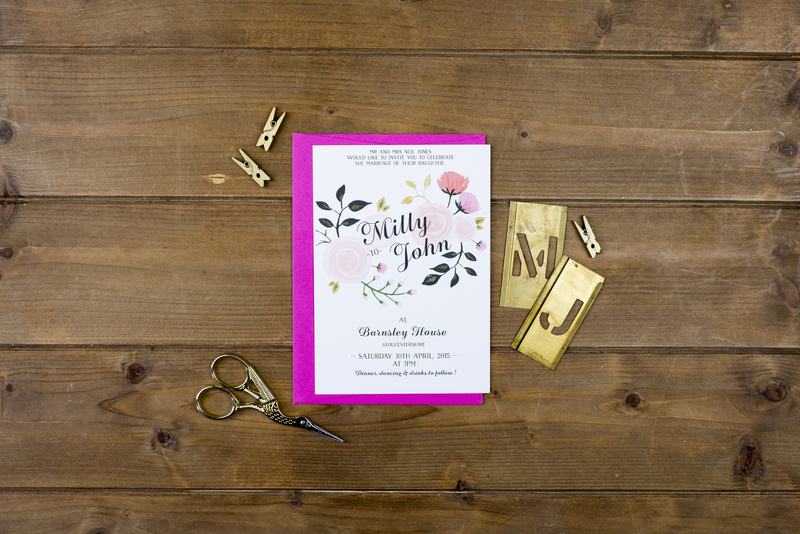 The formal wording of the invitation looks fresh and contemporary with the couple’s names pulled out in elegant script fonts, while the colours tap into our obsession with all things pink and coral. 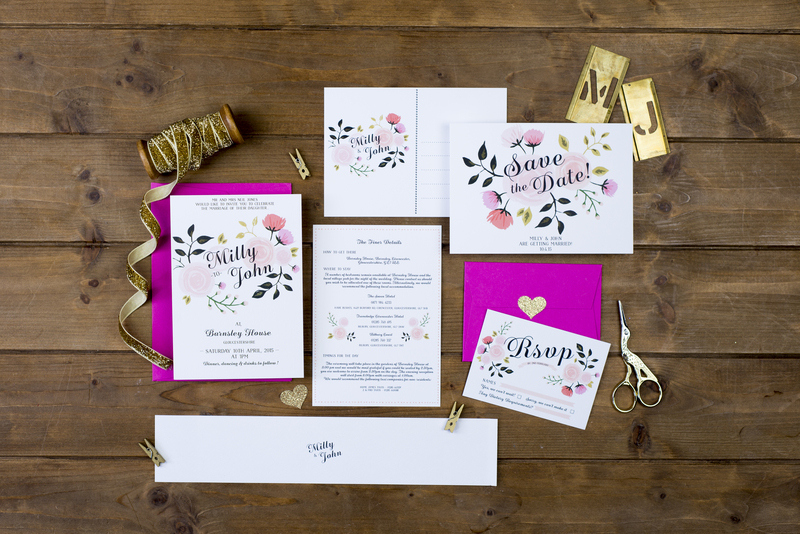 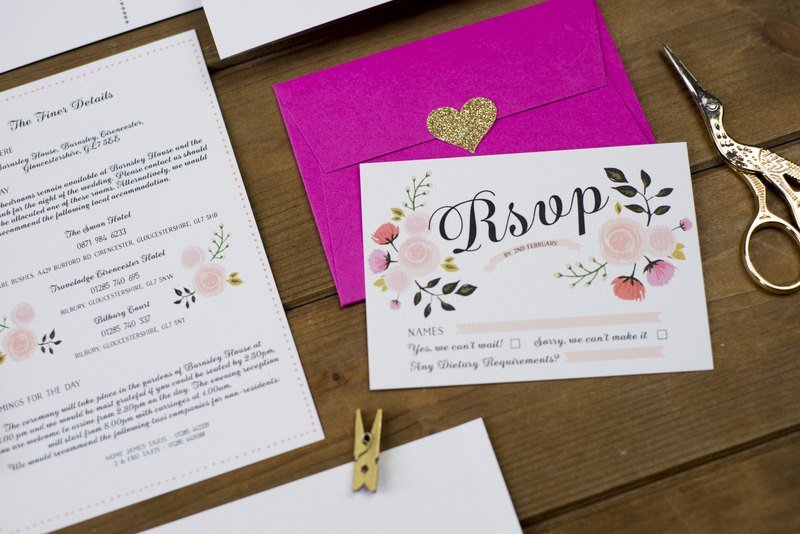 The RSVP keeps it simple, with spaces for guests to add their names and dietary requirements, and we love the hot pink envelopes with glitter hearts! 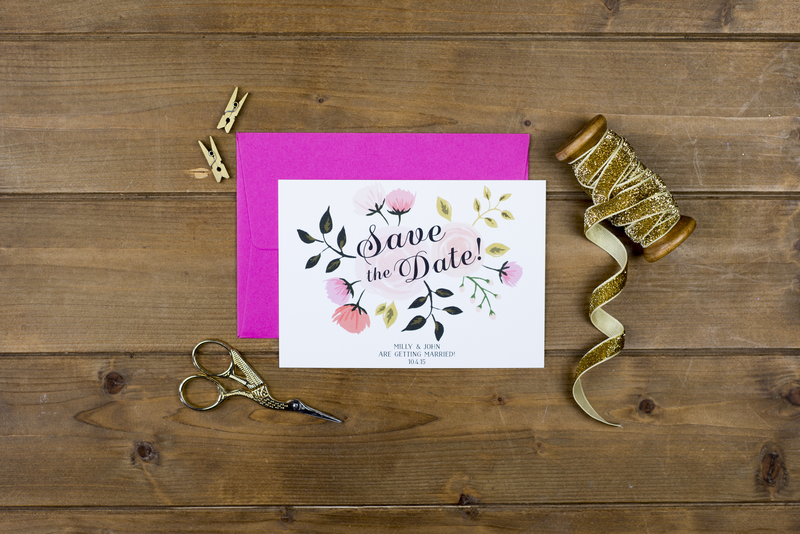 This sweet save the date sets the tone – guests are bound to be excited when this lands on the doormat! 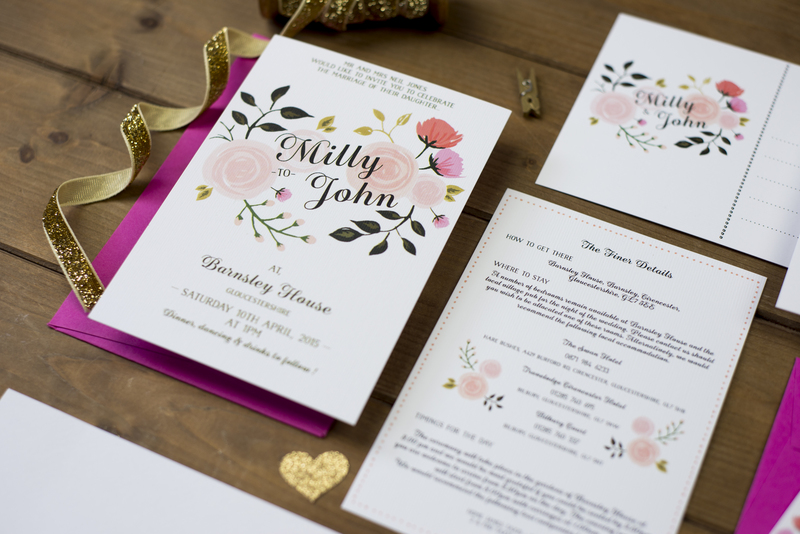 It’s not hard to see why The Charming Press were North West regional winners at The Wedding Industry Awards last week – see more of their beautiful collections at www.thecharmingpress.com.